One side effect of China's reforms and more mobile society is a rising divorce rate, a government report said. 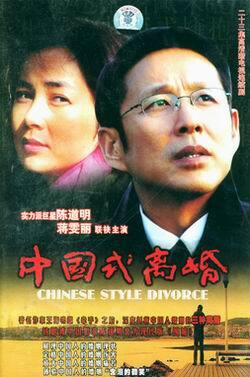 A report issued by the Ministry of Civil Affairs said the divorce rate has been on the rise since 2002. A total of 1.785 million couples divorced in 2005, 120,000 more than the previous year, leading to a divorce rate of 2.73 per thousand. Chen Rongzhi, a scholar with the Overseas Chinese University in south China's Fujian Province, attributed the rise to the itinerant population. "A great floating population occurs as people in rural areas move to cities and between cities for higher incomes, leading to more diversity among marriage partners," said Chen. "A family member's migration creates greater chances to disrupt the stability of a family and a marriage," she said. "China's traditional ideas are giving way to new ones, such as Internet dating, onenight stands, or quick marriages," said a report by Tang Can, a scholar with Chinese Academy of Social Sciences. Tang described these new phenomena as the young generation's pursuit of "sensuous satisfaction" so they treated marriage less seriously than their parents, which tended to drive up the divorce rate. However, the rising divorce rate reflected a positive side too, Chen said, as the freedom to marry or divorce showed a more tolerant social atmosphere and respect for individuals. Families have undergone great changes in the last two decades. An aging society put much pressure on families to take elderly relatives under the present social security system, and the one-child policy altered the traditional multi-children family structure, said Chen.